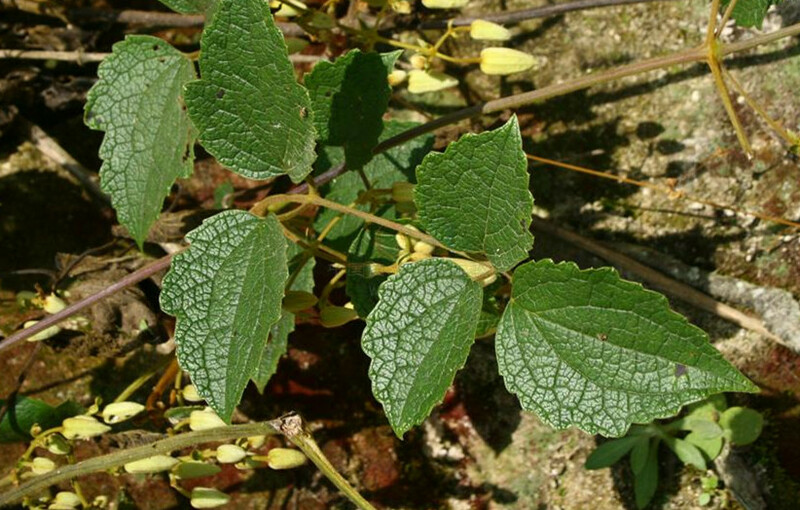 The drug is the dried or fresh root, stern or leaf of Clematis argentilucida (Lévl. et Vant. ) W. T. Wang (Family Ranunculaceae), growing on mountain slopes or in scrubs in ravines, and distributed in Hebei, Shanxi, Shaanxi, Gansu, Henan, Anhui, Zhejiang, Jiangxi, Hubei, Hunan, Guizhou, Sichuan and Yunnan province. Clear heat and relieve sore throat, induce diuresis and relieve stranguria, activate blood and alleviate pain. Traumatic injury, stranguria, tonsillitis, sphagitis,sores and boils.